At the $14 mid-point of the range and 11.5M shares outstanding the market capitalization would be $161M. It’s important to note that a partner, Intrexon (NYSE: XON), wants to purchase up to $15M in the IPO. According to the company existing shareholders are also interested in up to $20M of the offering at the IPO price. If that demand is real then over half of the $60M proposed deal size will be off the table. HSGX is pre-revenue and FDA approval is planned in 2018 which is quite a while to wait. The partnership with Intrexon certainly provides some downside protection as long as the trial goes well and progress continues on the development of next-generation products. The process HSGX uses borders on science fiction and takes six to nine weeks go develop the engineered cartilage. It starts with a biopsy of the patient tissue which is used to seed a 3D scaffold. 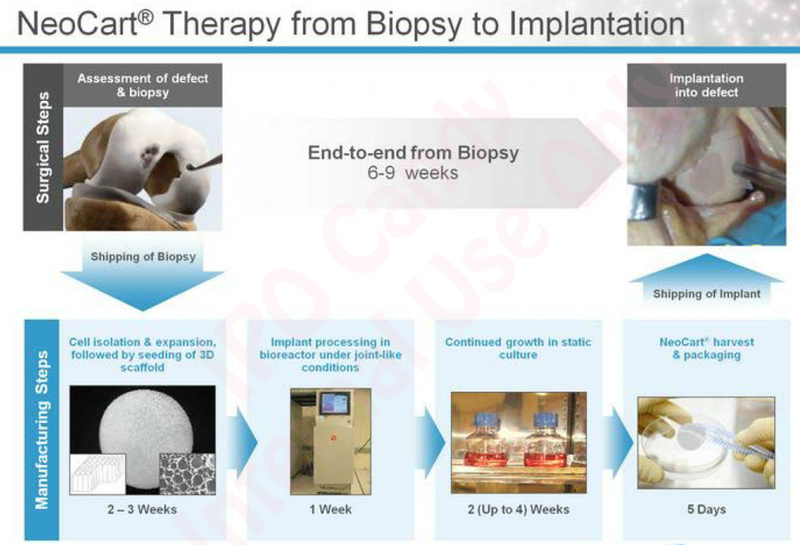 Then the implant is processed in a bioreactor to mimic “joint like conditions” before allowed to continue to grow for another 2 to 4 weeks. Finally the material is harvested and packaged for shipment. A little lengthy and arduous but it’s possible that this process can be streamlined, perhaps cut in half. It’s too early to know how the cartilage repair market will tip. Some therapies are targeting cells, some cells+scaffolds versus the HSGX cell+scaffold+engineering approach. But the available therapies for joint repair are not very good and tend to involve replacement rather than repair. The relationship with Intrexon made us dust off the old XON IPO roadshow and realize we also had a full XON IPO roadshow transcript of this “leader in synthetic biology.” In fact just two weeks ago we attended an R&D event at MIT with a breakout session on synthetic biology research that provided a mind-bending introduction to what will be possible in the next decade using “engineered” biologic materials. So You Wanted To Be "Long Electricity" Into The Eclipse?